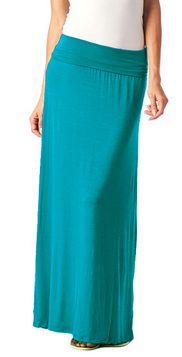 Women's Maxi Skirts -- As low as $10.50 Each, Shipped! Women’s Maxi Skirts — As low as $10.50 Each, Shipped! Tag Under is offering an extra 25% off Maxi skirt when you buy 3 or more items right now. Discount will apply automatically at checkout. You can choose 3 of the same item or mix & match different items. Maxi skirts are priced at $14 or $18, so as low as $10.50 each when you buy 3 after the 25% discount. There are several patterns/styles to choose from, so go crazy! These run a bit form-fitting, but they tend to stretch out. In other words, stick to your regular size. They also have a nice selection of Cardigans included in this Mix & Match Sale. Lots of ways to stock up on the essentials for your wardrobe. Shipping is FREE on orders of $20 or more.